The positive ROI of mechanical insulation is well documented, but it can be hard to see how those projected savings will really impact your own facility. The Mechanical Insulation Design Guide provides a series of simple calculators that help you estimate the cost savings, energy savings, and other factors of your planned mechanical insulation system. By entering a few details about the operations of your facility, you can gain a true understanding of how mechanical insulation will impact your company. This calculator uses operating temperature, ambient temperature, and other details about your horizontal piping system to estimate how mechanical insulation will impact your system’s performance. You enter your system specifications and can select a type of insulation material. This tool helps estimate the payback period, annual rate of return, and annual reduction in CO2 emissions. Since you can view results with different insulation materials, you can see what kind of effect the materials you’re considering would have on your bottom line and emissions. This calculator was designed to estimate your facility’s ROI for a mechanical insulation system, including simple payback, internal rate of return, net present value, and annual cumulative cash flow. 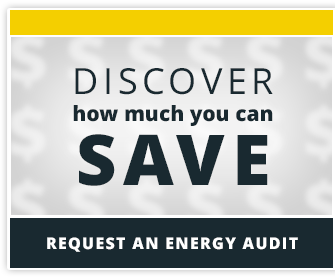 You can use this calculator to estimate payback for a large-scale insulation project, or a small investment like insulating a valve or replacing a section of insulation. If your personnel work with, or around, a piping system that operates at extremely high temperatures, this tool is for you. This calculator shows how effective mechanical insulation is at protecting personnel by calculating the maximum length of time a worker could be exposed to the outer surface of a pipe insulation system based on the potential for contact burn injuries. This tool is especially helpful if you’re trying to get buy-in from others in order to push forward an insulation initiative. The condensation control calculator estimates the thickness of insulation you would need in order to prevent condensation on the outer surface of a horizontal piping insulation system. After inputting some details about your operating conditions, you can discover the minimum thickness your insulation will need to be. If you’re trying to plan a mechanical insulation system and aren’t sure which thickness will bring you the maximum benefits and fewest drawbacks, this is the tool you need. Need help Calculating the ROI of Mechanical Insulation for Your Facility?